Born on 14 July 1907 in Skövde (West Sweden), Rudolf Berner grew up in a small farmer and working-class family of many children. He attended school and learned painting and crafts. In 1931 he went to Udevalla, where he served as ship's painter. He met a seller of the anarchist and syndicalist newspapers Brand and Arbetaren. The reading of Brand acted as a revelation. "Something in me said that was exactly what I always thought, but could never articulate," he recalled later. His first articles subsequently appeared in Brand and Arbetaren. In October 1931 he moved to Stockholm, where he worked on the editorial board of Brand. As a delegate of the Socialistiska Ungdomsfoerbundet (SUF) - Young Socialist League- Berner attended a congress of the Federation of Anarchist Communists of Germany (FKAD) in Berlin in late 1931. There, he met Helmut Rüdiger, Berthold Cahn, Rudolf Oestreich, heard a lecture by Erich Mühsam and met Franz Pfemfert. Above all, however, he felt at home in the Berlin-Adlershof group led by Willi Boretti. In 1932, he returned to Sweden. But as 1936 he went on the tramp, travelling through Denmark, Germany, Czechoslovakia and Austria. In Klosterneuburg near Vienna, he met with Pierre Ramus, a leading Austrian anarchist. Here he heard of the outbreak of the Spanish Civil War. His first attempt to go to Spain was thwarted at the Swiss border. Immediately Berner travelled over Germany back to Sweden. But in October 1936, he travelled as a delegate of the Swedish syndicalist organisation, Sveriges Arbetares Central (SAC) to Spain. He worked in the international department of the CNT-FAI and edited its weekly information service in the Swedish language. In Barcelona he maintained close contact with the German anarchists in the DAS group (German Anarchosyndicalists Abroad). At this time the DAS had no direct contact with the underground anarchist movement back in Germany. The German anarchist Helmut Kirschey recalled how the DAS asked Berner to undertake a mission there, because he spoke fluent German, had personal contacts with FKAD members and was known as a courageous man. The necessary travel money from Sweden was collected from Mollie Steimer, the contact in Paris. Officially Berner travelled as a delegate of the ILO. Contrary to his fears, he could easily enter Germany. The border guards had not noticed the entry stamp of Republican Spain in his passport. His first stop was Wuppertal. Here he met Änne Niessen, Helmut Kirschey’s older sister. He then went to Düsseldorf. His arrival on the 20 February 1937 coincided with the burial of Anton Rosinke, a leading FAUD militant who had been murdered by the Gestapo. Before the Nazi seizure of power there existed in Düsseldorf three anarchist groups in different neighbourhoods. Some of these had already been arrested and some were arrested shortly after. From Düsseldorf Berner went to Leipzig and met anarchists there. He then met up with Boretti in Berlin who put him in contact with Rudolf Oestreich, the leading FKAD militant, and he also met up with other FAUD activists. Berner then returned to Sweden and made his way to Poland. In Warsaw, Berner contacted the Polish syndicalist union Centrany Wydzial Zawodowy (ZZZ), whose conspiratorial anarchosyndicalist wing was headed by one of the leading officials of FAUD, Alfons Pilarski. The Polish anarchosyndicalists had collected money for Spanish children in distress, and Berner smuggled the solidarity funds to Barcelona. After completion of his mission in Poland Berner returned to Berlin to visit Boretti. The next day he travelled back to the Rhineland just as the next wave of arrests occurred. However, his luck held out and he was able to escape across the border to Holland. After delivering his report Berner returned to Barcelona. In November 1937 Berner returned to Stockholm. This was caused by his differences with Augustin Souchy, the German head of the international department of CNT-FAI, in Barcelona. He had a tense relationship with the leading officials of the SAC, who took Souchy’s side, and felt he was not taken seriously politically and had been defamed as a "bohemian". He fell into a depression. Because he was too cowardly to commit suicide, he wrote to Rüdiger, he was almost always drunk. He was unable to write a planned book on Erich Mühsam because of his situation - he had no fixed abode and only occasional work. But the following spring he was able to return to Spain. In Barcelona and Madrid Berner worked as a journalist for the CNT-FAI, producing a Swedish pamphlet on the Spanish situation. In December 1938 he went back to Stockholm, where he prepared for the planned visit of a CNT delegation. He was now unable to return to Spain as Catalonia had fallen to the Francoists. Instead, Berner travelled to Paris, where he had no chance of work and was "doomed to starvation". In July 1939, he was finally expelled by the French police and returned to Sweden. At the beginning of the 40s Berner married a German woman who had emigrated to Sweden. About his activities during the war there is hardly any information. He worked for Arbetaren and in April 1946 was a correspondent in France providing aricles on the CNT in exile. He also worked as a reporter in Switzerland and Spain, which he entered illegally and wrote a daily report over a two week period which appeared in Arbetaren. A split had developed between the CNT in exile and the underground CNT in Spain after the war. The exile leadership led by Federica Montseny clashed with the peninsular CNT which called for a broad front of anti-Francoist organisations. Berner sided with the CNT in Spain. In Sweden solidarity funds collected by SAC were sent to Montseny. Berner split with the SAC. His comrades took it very badly when they learnt of his departure from an article Berner had written in a social democratic paper. A few years later Rüdiger revised his judgment on Berner seeing him as a "a reliable friend of the CNT ", "even if he had chosen a path", which he could not follow. For the period after 1946 information about his activities is sparse. In January 1954, Berner worked for the International Workers' Film Institute in Brussels and organized an international workers Film Festival in Hamburg in 1954. 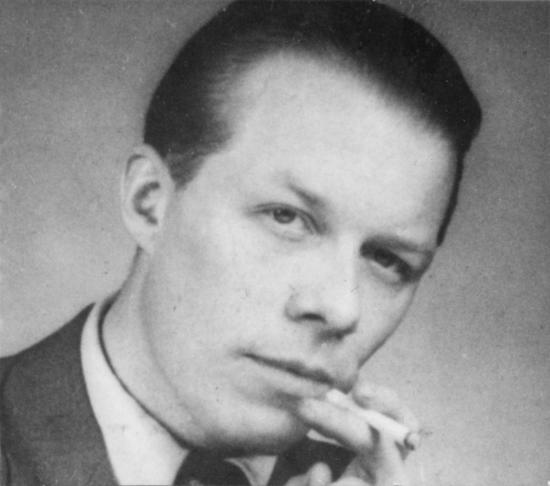 In July 1955 he returned to Sweden and worked as a journalist in Lund. At the beginning of 1962, he worked as a freelance journalist and wrote for a cultural magazine in Lund. He translated texts by Erich Mühsam into Swedish. He again travelled to Barcelona disguised as a tourist to write a report in 1958. On 11 March 1977 he died in Lund. His Swedish memoirs of the tour of Germany, The Invisible Front, were translated into German a few years ago by Helmut Kirschey.